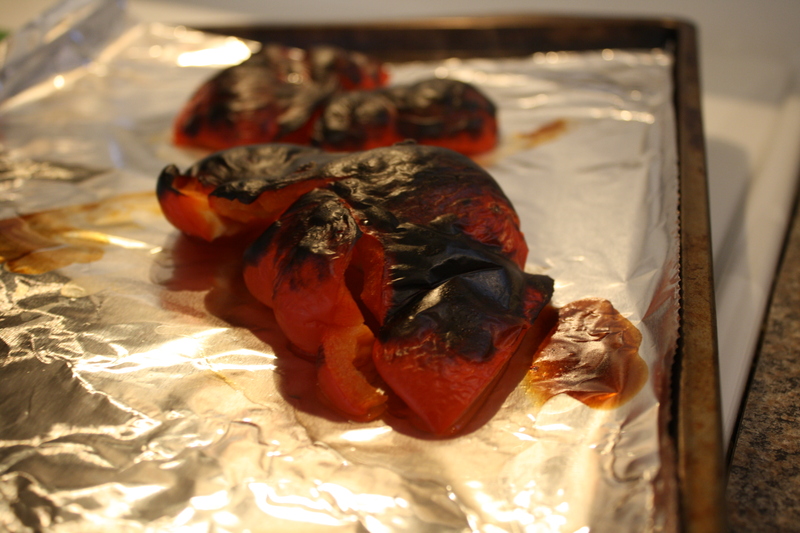 Roasted red peppers come from a jar, right? I made these for the inside of my Pizza Rustica, which I will post about next week. 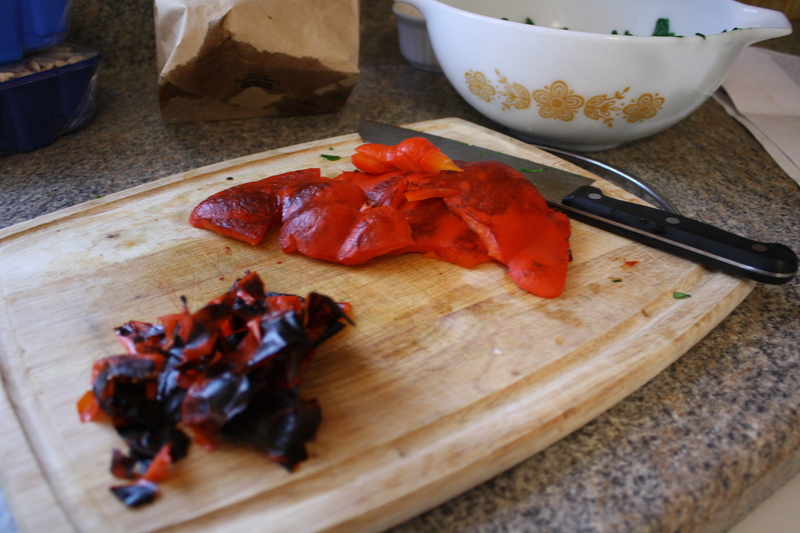 All you have to do is halve a pepper and clean out the seeds. 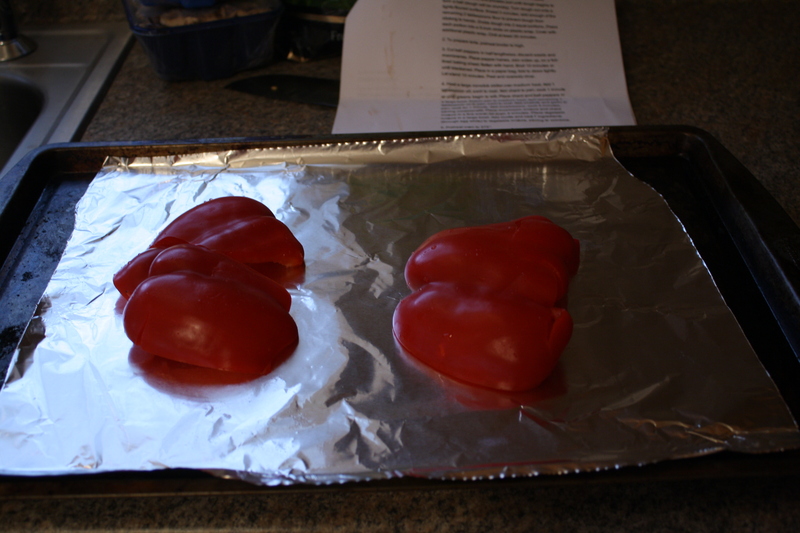 Flatten the halves and place them under the broiler for about 10 minutes or until brown. 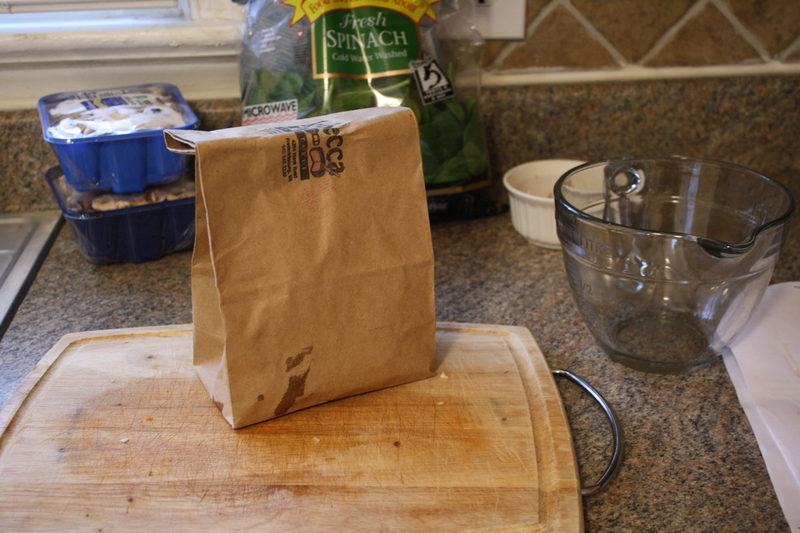 After about 10 minutes, when the pepper have cooled, take them out of the bag. Now the skins will simply peel off. Simple as that! !